For the region, see Malaya (region). Malaya is a formable country that does not exist in 1444. 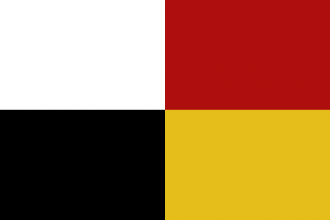 It can be formed by any country in the Malay culture group. Ligor) get a colonist as one of their national ideas, it is their last (seventh) idea so it would be quicker to acquire Exploration Ideas to get started sooner. 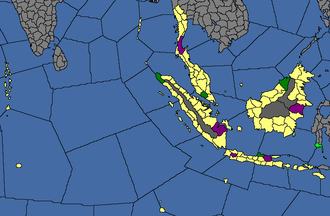 Note that the colonies in Sumatra or Borneo do not need to be finished to take the formation decision. Mutapa may thus be tricky unless an adjacent colony is conquered first. At least one friendly port in Africa is required to reliably send transports around the Cape of Good Hope. This will entail either fleet basing rights from Kilwa or Sofala, or a cored coastal province somewhere on the east coast of Africa. Mali will allow reaching the east coast of South America even with only level 3 Diplomatic Technology, provided Western colonies have not already blocked off the coast there. If Malaya must go the Pacific route, the far north (via Kamchatka and Alaska) requires less colonial range than the southern Pacific route, but is further from the New World nations. This meshes well with colonizing in Asia too. Even if focusing on colonization early, conquering the Malay Archipelago can be done while waiting to unlock Exploration Ideas. Ayutthaya is the predominant power in Southeast Asia at the start of the game. It can therefore be risky to conquer Malacca too early. The Indian subcontinent is less predictable than East Asia. It is usually not as attractive a target for conquest as East Asia since there is often no one nation holding a massive number of cores.